The WL 50 offers high payloads to provide better breakout force and lifting capacities. Its ergonomic design enhances operator comfort and improves productivity. Operating elements, including a multifunctional single lever control and an additional lever for third control circuit, are conveniently arranged next to the driver’s seat for easy operation. 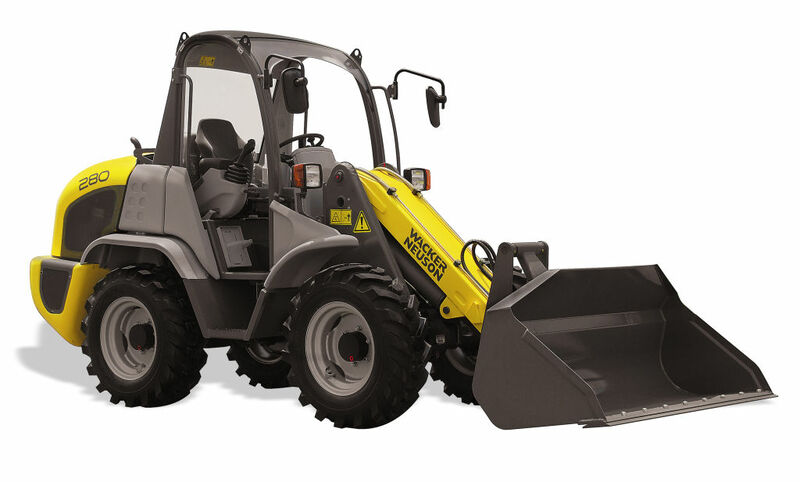 Driver’s cab features excellent visibility and an infinitely adjustable steering column. This unit features a hydraulically operated centrally-articulated pendulum steering system. The WL 50 provides a tight turning radius for added maneuverability in small areas. 100% on demand differential lock provides the operator with superior traction in slippery wet conditions or when driving into a pile of material. PZ kinematics system ensures that power and speed are always optimum when raising and lowering the lift arms. Excellent service access with tiltable cab and engine hood that opens 90-degrees, allowing full access to all engine and hydraulic components. Economical 74 hp turbo charged Deutz engine provides the necessary power to complete the most demanding jobs. Hydraulic quick-hitch system and standard auxiliary hydraulics allow for efficient changing from one attachment to another. increased payloads. Machine design features placement of components for easy access and serviceability. 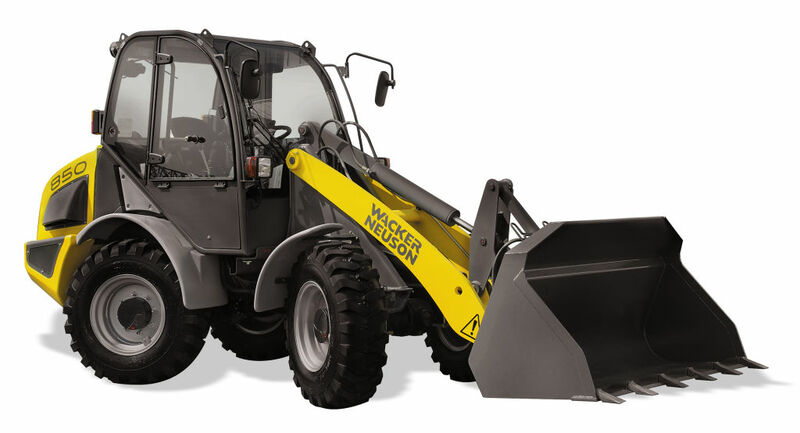 The 280 wheel loader is ideally suited for work in confined areas not accessible by larger machines. Weighing in at 7,275 pounds, this compact unit offers easy transport and maneuverability around the job site. A long wheelbase ensures smooth driving and easy handling, even on rugged terrain. Counterweights are located far behind the rear axle for higher payloads. A single joystick control provides for operator comfort and easy operation. The all wheel steer offers tight cornering and consistent operating capacities allowing for full turns even on steep grades.